I tried to open up the web site but all I got was the map. Read your post. Do you happen to know anyone with one of the Remington R-25s? I am serious about a .243 on that platform. 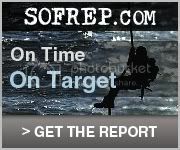 I think I have unloaded my KAC SR-15 E3 w/ a Leupold CQT-4 scope to a friend of a friend. SO that means I can look for something new for my varmint collection. I am a believer in Ruark. Bring enough gun. Most of my varmint friends call the .243 the “hammer”. So I say bring a mallet! Well I do know somebody with one but I haven’t shot it technically but in reality I have:-) Confused yet LOL! Well sir here is why. Remington,Bushmaster and DPMS are all the same company now so yes I’ve shot them. Bushmaster makes the R-15 and DPMS makes the one you want the R-25’s. Remington will never make one so your actually getting a DPMS in .243. Heck I’ve had many DPMS AR’s and they good rifles and of course so are Bushmasters. All this selling and buying of companies took place a little over a year ago maybe a little longer. Anyway bottom line is yes you’ll get a good one! Yea Black Rifle only has that one cover page for now but I understand they are working on a full website. I sure swear by mine and I like the lifetime warranty on them and the fact CMMG is only a 45 minute drive away from me so in the unlikely event I’d need warranty work I would just run it down there. I recently purchased a cmmg their mod4 in 5.56mm. It was my first AR. And soon as I took it shooting I could not stop smiling. I would opt for the piston driven, instead of the old gas impingment sys. but either work for the casual guy, just more to clean. Also check out there .22lr conversion kit. I dropped it straight in and dumped two 27rd mags through it as fast as I could w/o a malfunction. Though it’s not a tack driver w/ the conversion kit it still loads of fun. And a great way to teach the AR to people. Just recently purchased the piston driven M4 LEP II, love it. The folks at Black Rifle are outstanding guys to work with knowledgeable, answered all my questions, customer service is top shelf. Kudos!! I shopped and shopped. Being a 9mm cqb fan, I am looking forward to the dedicated milled lower built by CMMG . NO MORE MAG BLOCKS ! The new CMMG milled lower will end the nightmare of ill fitting non consistant spec stacking of 1/2 a dozen different companys and their *milspoec ill-spec parts , and the constant pre-fitting and ill-fitting parts. When my Tax stamp comes thru , I will post a video of my new CMMG – SBR bt CMMG . Just wishing CMMG will followup with a milled lower for the 223/556 ! I will video and compare the CMMG vs. the Colt SBR’s. The drive 1/2 way across Missouri will be worth the drive and then some ! It will sure be worth the drive! I’m looking forward to getting a look at those. I can pretty well tell you they will have a .223/5.56 coming down the road:-) Hey email me with the video and I’ll post it. It’s nice living only 45 minutes away from them. Get a tour while your there–you’ll enjoy it! All I can advice is check the internet over and over again with various search engines. It’s just going to be some time before availability will be back to normal. There is one company that sells only AR’s and only CMMG so I would tryt calling them first and often. 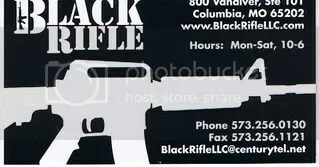 Black Rifle LLC Columbia, Mo.